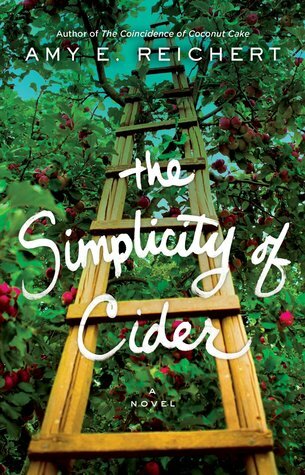 The Simplicity of Cider takes place at an apple orchard in Door County, Wisconsin. (The Midwest love makes my heart go pitter-pat!) Sanna Lund is single mindedly focused on producing a line of cider from her family’s fifth generation apple orchard. So focused, in fact, that she’s a bit prickly with the rest of the world. Except, perhaps, her elderly father, but that might have something to do with his insistence on having an apple dessert every evening. (It’s hard to be prickly to someone who is willing to make you pie on the regular, you know?) Of course, her father is having a harder and harder time taking care of the orchard, and Sanna’s brother has been pressuring her to consider selling the land. When Isaac Banks shows up, he is hired to help out with the tasks Sanna’s father finds difficult to do. But, of course, Isaac comes with his own baggage, namely a young son and the specter of the boy’s mother and her troubled past. I could go on, but this book provided me with everything I wanted. 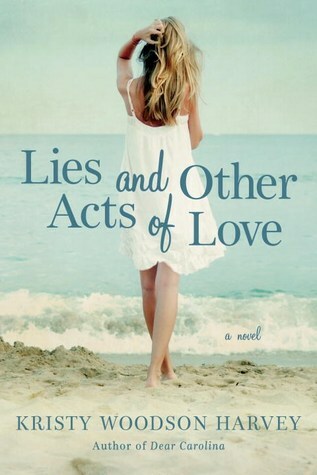 A light read with a little bit of romance and even a tiny dash of Sarah Addison Allen style magical realism. I must admit, I was a little nervous to pick this book up. I loved The Coincidence of Coconut Cake (review) for its light, fun, foodie fiction but wasn’t quite as thrilled with the somewhat more stolid Luck, Love & Lemon Pie (review). I’m so pleased to see that Reichert went in more of a Coconut direction with her latest offering- it was quite the treat. I also ADORED the subtle cameo of a couple of Coconut‘s characters in The Simplicity of Cider. 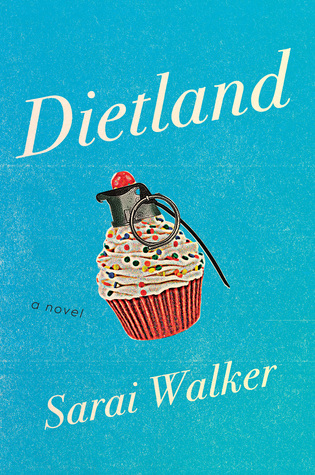 It was the apple dessert to top off this comfort food-esque novel. Reading this book reminded me of how much I miss hard cider. On the upside, Babysaurus will be here by the fall, so I should be able to sip some cider come apple season. Talk to me, Bookworms. What’s your favorite apple-y treat? The fact that it’s cold and gray doesn’t appear to have had the desired effect on my blogging output. So much for that theory. I’m still reading, of course, in between bouts of hibernation and snacking. Yes, I’m probably part bear. Let’s not make a big deal out of it, okay? Anyhow, a while back I read A Man Called Ove by Fredrick Backman (review) and really dug it, so I thought I’d check out some more of his work. That’s how I came to read Britt-Marie Was Here . Britt-Marie is sixty three years old. She’s not difficult, she just happens to like things a certain way. A well organized cutlery drawer and a thorough understanding of the virtues of bicarbonate of soda (baking soda) are key to a proper life. Kent never fully appreciated the extent to which Britt-Marie kept his life in order, unfortunately, and she’s simply had enough of their loveless 40 year marriage. Once she’s left, she takes a job the only place she can find, the rather derelict town of Borg. It was once a thriving town with a large trucking company, but it was hit very hard by the financial crisis. Britt-Marie begins work attempting to bring order to the soon-to-be-demolished recreation center, and soon finds herself somehow coaching a youth soccer team. Fredrik Backman has the market cornered on curmudgeonly older Swedes with hearts of gold, let me tell you. 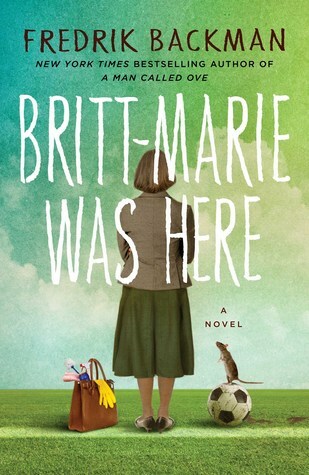 Over the course of the book, we learn a lot of the circumstances that shaped Britt-Marie into the woman she became, and we are privileged to witness the circumstances that surround her metamorphosis. I mean, she ends up coaching soccer, for heaven’s sake. It’s adorable. I must admit that I was somewhat surprised by the plot of this book. For some reason, I never think of a country like Sweden having any problems. It’s one of those countries that always seems to be topping the “best countries to live in” lists. I just never thought “oh hey, I bet there are economically depressed areas of Sweden that are plagued with crime, unemployment, and general discontent.” Because I’m incapable of recognizing complexity, or something. Actually, I’ve got a quote from the book that totally works right here. Ahem: “Societies are like people in that way. If you don’t ask too many questions and don’t shift any heavy furniture around, there’s no need to notice their worst sides.” You should probably read this book. It’s a delight. 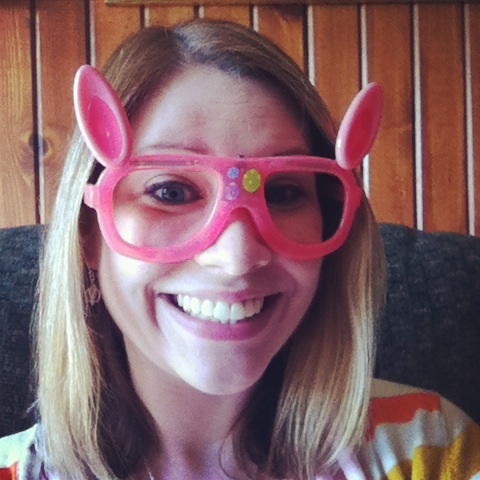 Britt-Marie Was Here – check it out! Talk to me Bookworms! What’s the first thing you think of when you think of Sweden? Prior to BEA I’d only been to two author events, but I must admit that having interacted with an author especially in person makes for a different reading experience. Fun fact: I am fond of people who are nice to me. Granted, when authors are trying to promote their books, they tend to be nice to those who might purchase and/or talk other folks into purchasing their books. Just because being nice is also in an author’s best interest doesn’t make me enjoy it any less when they compliment my penguin cardigan. All this is to say that Jennifer Close complimented my (admittedly adorable) penguin cardigan when I got my book signed at BEA. And now we have a special bond. Obviously. 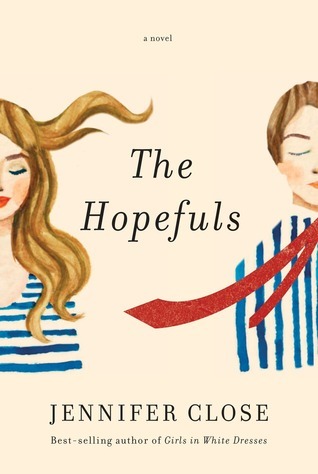 Her latest offering, The Hopefuls , is super timely considering that we’re in the midst of a (seemingly endless) election year. Beth knew going into her relationship with Matt that his eventual goal was to work in politics and eventually run for office, but that all seemed far away when they were living in New York and he was working as a lawyer. When they uproot their lives in New York to move to DC and follow Matt’s career, Beth has a hard time adjusting to her new reality. She hates everything about the city from the traffic circles to the casual discussions of government security clearances. Things begin to turn around when Matt and Beth meet charismatic White House staffer Jimmy and his wife Ashleigh. The two couples strike up a fast and intense friendship, but things soon get complicated. Politics, jealousy, and rumors threaten to tear apart the fragile sense of normalcy Beth has only recently attained. This book was very cheeky and a lot more fun than I expected it would be. The whole political sphere isn’t something that’s ever been a huge interest of mine. I mean, DUH, I have opinions and I CARE, but I have no interest in engaging in debates or anything. Which is why I find the desire to work in politics so baffling. (For the record, I’m super grateful that there are people who DO want to run things, but campaigning sounds like the ninth circle of Hell to me.) Thanks to the Beaks and Geeks Podcast (which is great fun if you have the time to give it a listen) I learned that author Jennifer Close had the same reaction to DC that Beth did upon moving there. The Hopefuls isn’t autobiographical or anything, but Beth’s DC rants came straight from Close’s initial reactions. No WONDER it felt so authentic! Is this glowing review the result of the author’s complimenting my ensemble? Not really. At least not intentionally. I really did like the book. But, you know how it is. Unconscious bias and all that. Why don’t you give The Hopefuls a read yourself and form your own opinion? Talk to me Bookworms! Would you ever consider running for office or does it sound as awful to you as it does to me? I have been terrible about reviewing books lately. I don’t mean that what I’ve been posting is terrible (because I obviously think that what I’m saying is very important and interesting all the time) buuuut I’ve been reading a whole lot more than I have been posting. I’m going to try break out of the cycle this week, folks. Andi at Estella’s Revenge is hosting a week long Reviewathon and I am all in. 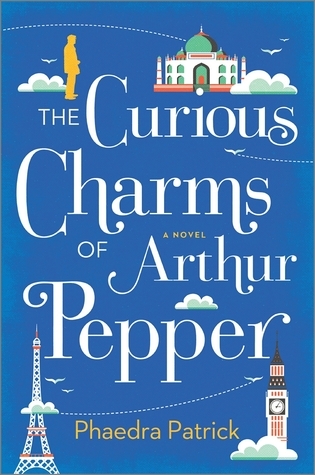 First on the agenda is one of my BEA acquisitions, The Curious Charms of Arthur Pepper by Phaedra Patrick. Arthur Pepper is a 69 year old widower who is merely going through the motions in life. He’s spent the year since his wife passed away engaged in the most mundane of activities, his most rewarding relationship being with his houseplant, Frederica. On the one-year anniversary of his wife Miriam’s death, however, things begin to change. Arthur finally brings himself to clear out some of Miriam’s things when he stumbles across a piece of jewelry he’s never seen before. Arthur is completely perplexed by the bracelet and its unusual collection charms. Arthur’s curiosity is piqued for the first time since Miriam’s death. The former homebody embarks on an adventure that leads him to encounter locations, people, and trousers he never would have expected. I hate to play the comparison game, but I’m going to anyway. Raise your hand if you’ve seen Up ! Yes, the Pixar movie. The one where the widower goes on a journey and finds purpose and joy in life in spite of his grief? The Curious Charms of Arthur Pepper is a little like that. With fewer balloons and more ferns named Frederica, of course. But the general vibe? Totally there. I couldn’t help but love Arthur and all the misfits and oddballs he meets along the way. This is a feel good book of the first degree, and utterly charming. If you need a few warm fuzzies, this is your read, folks! Talk to me, Bookworms! What’s your favorite feel-good read? 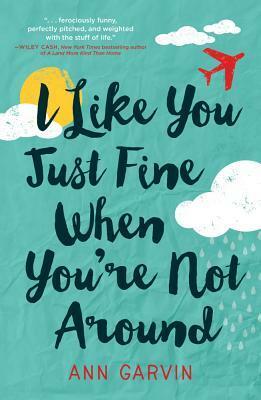 I Like You Just Fine When You’re Not Around by Ann Garvin: Review and GIVEAWAY! Whew! Summer, man! I’ve been reading plenty of books but I’ve been terrible about getting reviews written. It’s tough to buckle down and computer it up when the sun stays out so late and the weather is so delicious. I’m full of excuses. The point to all of this is that YES! Today I’m talking about a book! I was recently contacted by Ann Garvin and offered a complimentary copy of her latest book, I Like You Just Fine When You’re Not Around for review consideration. As per usual, I shall remind you that my integrity shan’t be compromised by the free book because I have truly terrible manners. Tig Monahan is has always been the steady, responsible type who helps everyone else out with their problems. She’s been taking care of her mother, who has been suffering from dementia. She’s always provided a soft landing for her flighty older sister. She’s a therapist, for heaven’s sake! Tig’s refusal to put herself (or more aptly, her boyfriend) first has caused immeasurable friction within her relationship. And all the glorious stability that Tig has worked so hard to build? It crashes down around her piece by piece. In the aftermath, Tig is forced into a new job, a new outlook on life, new roles, and unexpected challenges. Dang. That little synopsis I just wrote doesn’t do it justice. This book was such a great exploration of messy feelings and complicated emotion. I love a feel-good novel, but I often find that they’re kind of one dimensional and obvious, you know? When I read a book in the self discovery vein, it often feels like there’s a sign blinking with “THIS IS THE CORRECT OPTION” when it comes to what choices the protagonist should be making, particularly in terms of her romantic life. I Like You Just Fine When You’re Not Around took a much more realistic approach to a set of improbable circumstances. It’s a hopeful book, on the whole, but it’s not one of those “follow your dreams and it’ll all work out perfectly” or “find your one true SOUL MATE and everything will fall into place” sort of narratives. It’s a little sad. A bit of a bumpy road. The choices aren’t always clear. Just like actual life. And you know what? I LOVED IT. Want to know if you’ll love it too? Ann Garvin was generous enough to offer a GIVEAWAY of the novel (US entrants only, please.) Enter below, my little Bookworms! The day after a Monday holiday is always the most insane of days, particularly for us working stiffs. I can’t say it wasn’t worth it though. I got some flowers planted and books read and lots of delicious grilled things in my belly. I’m still trying to catch up on reviews for books I’ve read. I’m waaaaay behind schedule. Whatever. 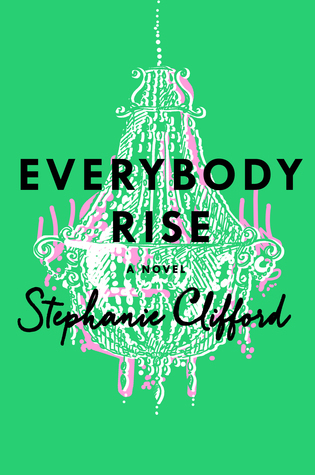 Today we’re going to be discussing an audio book I listened to a while back called Everybody Rise by Stephanie Clifford. 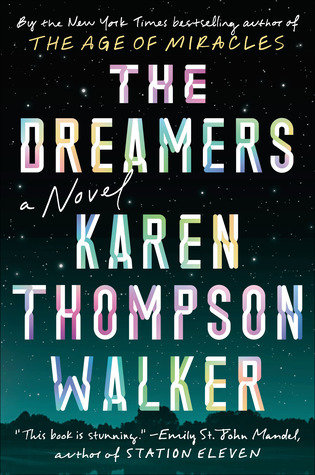 Evelyn Beegan is the 26 year old product of prep school and a social climbing mother, but she’s determined to create a life for herself in Manhattan on her own terms. That is, until she takes a job with the world’s snobbiest website, People Like Us. Evelyn is put in charge of recruitment, where she’s paid to rub elbows with the ultra privileged elite she once avoided. 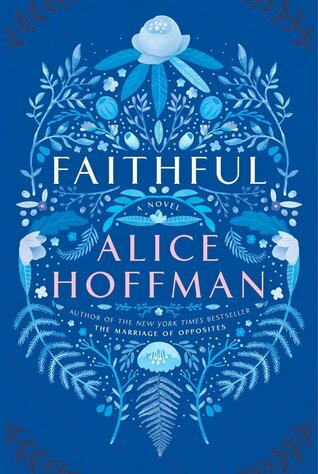 During the course of her work, Evelyn finds herself summering at the vacation homes of New York’s old money- Newport, the Adirondacks, and the Hamptons become her stomping grounds. She is able to blend in with the people she’s recruiting and finds their world intoxicating. Evelyn soon begins to pass herself off as old money, and sweeps her wealthy-by-normal-standards family history under the rug. I think you can guess where this is heading. I don’t know how to properly explain this audio book’s narration. The narrator used the most over-the-top fancy East Coast upper crust voice you can imagine. Does anyone anywhere REALLY talk like that? It was like Richard and Emily Gilmore on steroids. My husband came in from moving my car one day and felt told me in his own version of the hoity toity accent just how well Camilla’s croquet game was progressing. While the accent was kind of hilarious, the book was maddening. THESE PEOPLE. Everybody Rise introduced me to a brand of human beings I didn’t think actually existed. This East Coast old money thing is NUTS. The amount of money casually thrown around in this book is staggering, and just wow. Everyone was so unapologetically snobby! Evelyn and her mother are DESPERATE to be in the club and it’s just SO SAD. Honestly, I can’t tell for sure how I feel about this book. I found this world so gross and upsetting. It’s eye opening, but I’m not sure I really wanted to see the world from this particular perspective. Yikes. Talk to me, Bookworms! Did any of you attend Ivy League schools? Or Prep schools? Is this whole social scene ACTUALLY a thing?